Dr Karyn Morrissey is a Senior Lecturer whose research focuses on understanding the impact of socio-economic and environmental inequalities on health outcomes, using data both big and small. 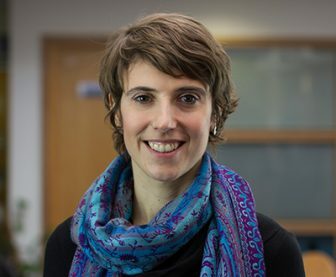 An economist by background and having worked in a Department of Geography, her multi-disciplinary approach centres on the application of computational methodologies such as simulation models, econometric models and geo-computation models. Karyn is interested in the science-policy interface and has been a rapporteur for an OECD Workshop on the Future of Maritime Spatial Planning and Ocean Monitoring. She was an invited speaker at the Second Irish Maritime and Energy Resource Cluster Annual Conference in Cork in 2013, and an invited keynote speaker at the National Ocean Forum in Mauritius in 2012. Karyn has also held a University of Liverpool knowledge exchange voucher with the Health and Safety Executive, is membership secretary of the British and Irish Regional Science Association, and an editorial board member of the Journal of Ocean and Coastal Economics and Marine Policy. Increasingly frustrated by existing research in population health outcomes, Karyn is interested in moving away from cross-sectional models – which focus on just one point in time – to a life course analysis based on longitudinal and cohort datasets – which follow people over time. Coral Communities is a 9 month Global Challenges Research Fund (GCRF) project that aims to draw together a network of collaborators from the UK and Western Indian Ocean (WIO) to address evidence gaps and support the development of resilience strategies across the WIO. Coral Communities comprises an interdisciplinary partnership between academics, NGOs, a development consultant and a creative art and film-making team. Key to this project was the role of the visual artist Dominica Williamson in developing participatory visual methods to engage with the communities to help understand their perceptions of socio-ecological resilience in their communities. As part of the research, Dr Karyn Morrissey, along with Dominica Williamson and Mark Bryant (University of Cardiff) were hosted by MWAMBOA, a coastal community NGO in Zanzibar to (a) further develop these methods and (b) begin to understand the socio-ecological resilience of coral communities in Zanzibar, using materials and participatory visual methods. This video provides an overview of the methods used to engage with the coral community of Fundo Island. NCRM: ‘Innovations in Small Area Estimation Methodologies’ with the University of Southampton.